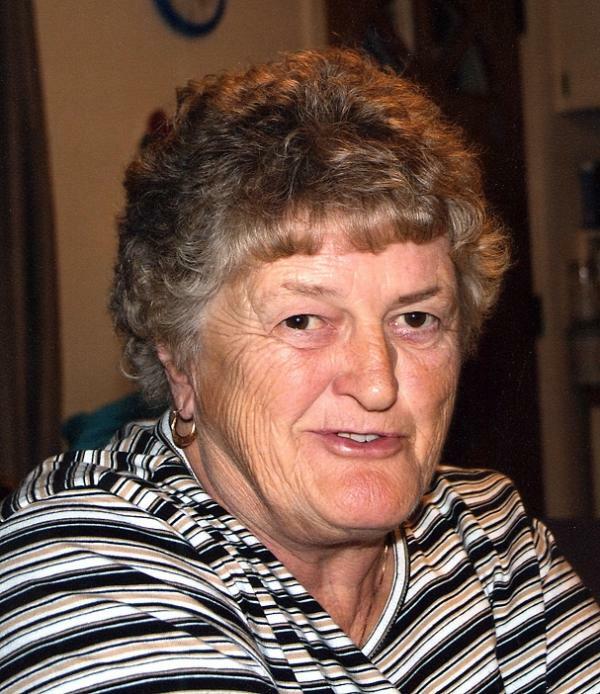 Sally entered into rest at the Brockville General Hospital, after a short illness on Sunday, Oct. 17, 2010, at the age of 66. She was the daughter of the late John and Veronica (Corbett) Burke. Beloved wife of Keith Whiteland. Dear mother of Sarah Antinello (Tony Wright), Anthony Antinello (Deanna), all of Hamilton, Ont. and John Joe Antinello of New Brunswick. Loving grandmother of Vanessa and Colin Wright, Anthony, Brittany and John Antinello. Sister of Gen Spence (Darrell), Thomas Burke (Gayle) and Frank Burke (Charlotte), all of Sydney; special niece, Angela MacDonald (Jim), Halifax; sister-in-law, Judy Burke, Montreal and family friend, Bob Fagan, Halifax; several other nieces and nephews, aunts, uncles, cousins as well as extended family members. Sally enjoyed spending time with her sisters-in-law, Jeanette Chapman and Edith Fifield of Sydney and also spending time in Mira, C.B. and Halifax. Predeceased by a daughter, Sandra Antinello; her first husband, Jim Antinello and siblings, Elizabeth 'Toots' Edwards (Charlie), Theresa DiSano (Joe) and John Burke Jr.
Cremation has taken place. Interment will be Nov. 6, 2010 at 10:30 a.m. at Burlington Memorial Gardens. Reception to follow at Barton Street Legion 1-4 p.m.
Memorial donations may be made to the M.S. Society.